Everything Elvis has value. Just ask the guy who bought a monogrammed shirt for $58.000. A monogrammed shirt. Wedding photos. Sweaty concert scarves. And human hair. 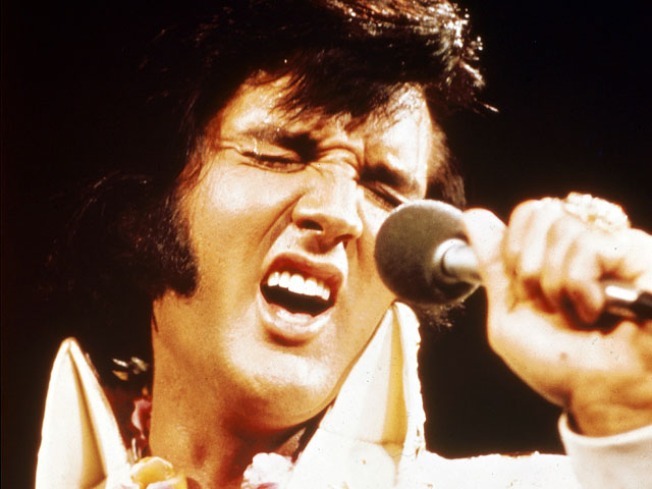 The items sold Sunday by Leslie Hindman Auctioneers wouldn't have gotten much attention except for the fact they belonged to one Elvis Presley. 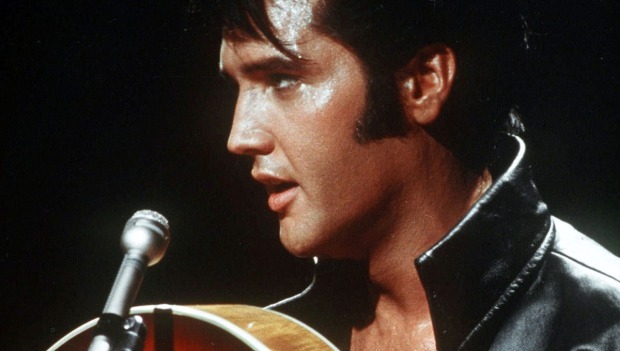 The belongings of the King of Rock 'n' Roll fetched thousands at the auction in Chicago. The photos brought in $4000, the Presley sweaty scarf $1900, the hair $15,000 and the top-priced item for the day -- an "EP" monogrammed shirt bought by John Urso -- for $52,000. Urso dropped another $48,000 for a red ultrasuede shirt worn by the Presley. It's important to note neither would fit the buyer, even if he wanted to wear them. "It's worth every penny," Urso, who considered bidding on the much discussed Presley hair, told the Chicago Tribune. "What am I gonna do with the hair?" The items in the auction belonged to Gary Pepper, president of one of many Presley fan clubs. Leslie Hindman, who runs the company that auctioned off the items, blamed the economy for the phone bid for the locks. "Nobody's going to buy a hunk of a hair for a crazy price," she told the Tribune.